Every day this Advent we will be sharing reflections from Christian authors. Today's is by Tracy Williamson. Every day this Advent we will be sharing reflections from Christian authors. Today's is by Tom Wright. 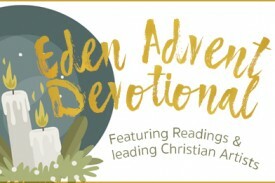 Every day this Advent we will be sharing reflections from Christian authors. Today's is by Claire Musters. Every day this Advent we will be sharing reflections from Christian authors. Today's is by Sylvia Boys. Every day this Advent we will be sharing reflections from Christian authors. Today's is by David Hamshire. Every day this Advent we will be sharing reflections from Christian authors. Today's is by Mathew Bartlett. Every day this Advent we will be sharing reflections from Christian authors. Today's is by Hamilton Moore.